Everyone experiences eye fatigue from time to time, but if you spend hours every day staring at a computer screen at work only to go home and watch TV, use a tablet or your smartphone, you may develop eye strain. 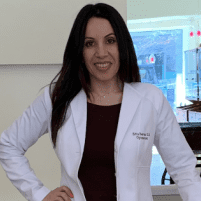 Zitta Rezvani, the optometrist at idoc Optical in Washington, D.C. can diagnose eye strain and will offer advice and modifications to reduce eye strain and symptoms such as headaches, watery eyes, dry eyes, and blurry vision. Recent studies have shown that the low wavelength UV that emits from computer screens/smartphones and tablets has adverse side effects to the health of your eyes. You will benefit from a special form of an anti reflective coating that covers against the harmful blue light. If you live in the D.C. area, call or make an appointment online today. As our eyes work like a camera, they have to bring the near objects in to focus by using the inside muscles. If they eyes stay in the mode for a length of time, they get strained and tired. The UV light from continual screen use can cause harm to the health of the ocular surface as well as the retina. By understanding how you use your eyes on daily basis and the number of hours on computers/tablets/smartphones, our optometrist can prescribe you appropriate glasses or contact lenses. We can also address any underlying cornea or surface conditions that can contribute to the discomfort and eye strain. Our doctors may prescribe you a separate pair of computer glasses and appropriate eye drops lengthy screen use. While eye strain is uncomfortable, it doesn’t damage your eyes. With a few adjustments your symptoms will subside, and you can reduce your risk of future eye strain. Dry environments caused by heating, air conditioning, or a fan can exacerbate your eye strain symptoms. How is eye strain treated? Eye strain doesn’t damage your eyes. Nonetheless, if you’re suffering from any of the symptoms mentioned above, you should make an appointment at idoc Optical for further evaluation. Our optometrist can check for eye conditions that could be contributing to your symptoms. For example, our skilled opticians can adjust your eyeglasses or contact lens prescription or provide treatment for dry eye or suggest different holistic approaches to alleviate some of the eye strain. In most cases, some lifestyle modifications can reduce your eye strain. If you work on a computer during the day, you should look away from your screen and focus on something in the distance, approximately 20 feet away, for at least 20 seconds. Dr. Rezvani might refer to this practice as the 20/20/20 rule. You should also blink your eyes a few times to make sure you’re spreading tears over your eyes to keep them moisturized. Using artificial tears or eye drops can also reduce your symptoms. We will advise you on the type of artificial tears that are most appropriate for your eyes. You can also upgrade your screens or use a glare-reducing screen cover over your monitor. You might benefit from adjusting your screen settings to enlarge the type for easier reading. Call idoc Optical today or make an appointment online for expert advice on reducing and preventing eye strain.